The city has been blown to bits and cut off from outside help. 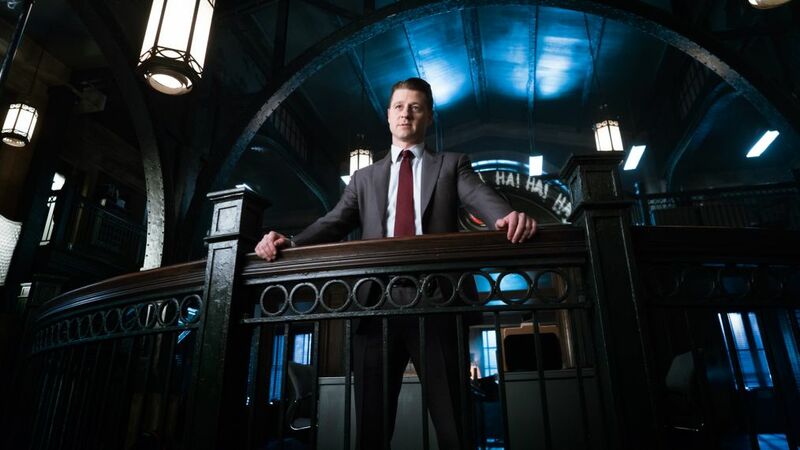 As the dust is settling, we asked executive producer John Stephens about the fall of Gotham, the rise of a certain Dark Knight — and what to expect in Season 5. What is Gotham like post-bombings? John Stephens: Not good. Inspired by the No Man’s Land arc in the comics, Stephens says he sees a “Mad Max–Escape From New York version of Gotham” with isolated neighborhoods co-opted by various villains. Other overlords next season will include infamous DC Comics characters Ventriloquist and Scarface, Lady Shiva and Man-Bat (as teased in the finale). Who runs the town now? Well, that depends. Barbara (Erin Richards) has turned the Sirens Club into “Rick’s from Casablanca,” says Stephens. “It’s the one place where there’s good food and great booze.” And no men. Penguin (Robin Lord Taylor) claimed City Hall, where he’ll run a Stalinesque base of operations (“It’s as if you cross Fifth Avenue and you walk into North Korea,” the exec producer says). The evil Jeremiah (Cameron Monaghan) remains in the shadows “like a bogeyman.” Firefly, Scarecrow and Mr. Freeze will all have their own hoods too. Can Jim (Ben McKenzie) and Bruce (David Mazouz) save the day? Any other comic book nods? Selina (Camren Bicondova) being shot and paralyzed by Jeremiah will echo Batgirl’s condition in The Killing Joke, but Stephens tells us she won’t become Oracle. However, he does let slip that a planned love interest for the Joker-ish Jeremiah “may be” the show’s long-expected version of Harley Quinn.